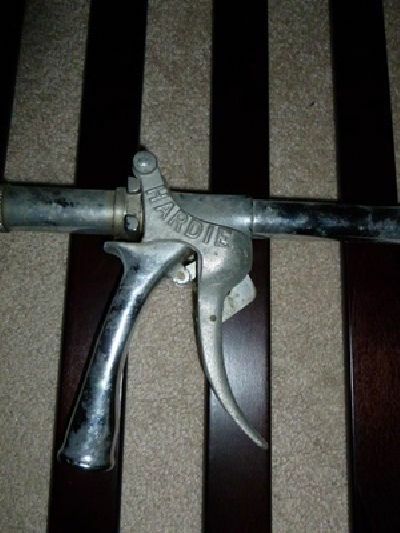 Water nozzle (A1628) :: Fenton Fire Equipment Inc.
used during the late 50's in the Philadelphia Fire Department. 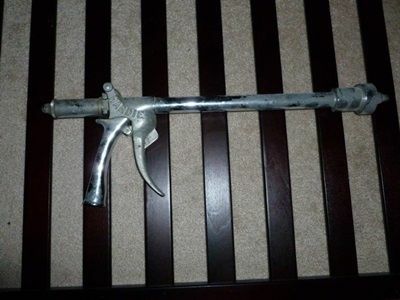 appears to be stainless steel. nozzle handle moves freely and appears to be working. no corrosion or anything on it.